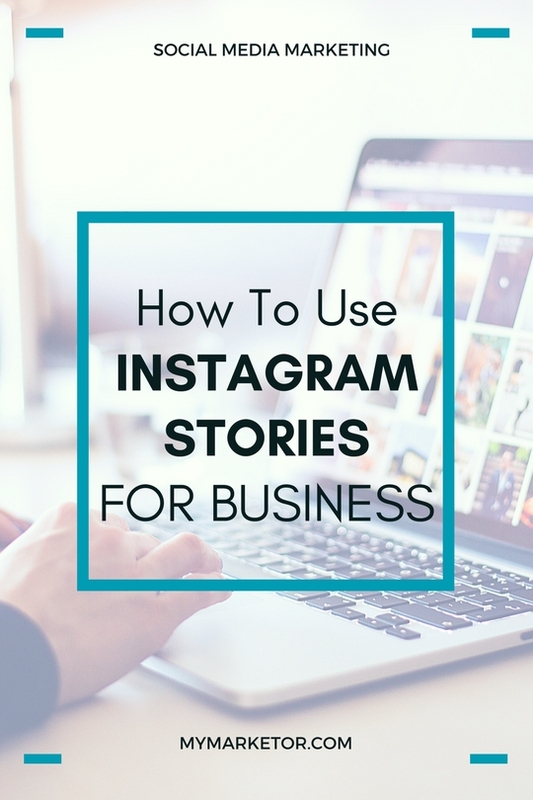 Are You Using Instagram Stories for Your Small Business? Instagram Stories enables users to post pictures and video to an album that disappears after 24 hours*. Pictures and videos can be enhanced with drawings or special filters. It gives you another way to engage with your followers! Stories are featured across the top of your homepage as little circles so if is following you; it’s likely they will see your Stories. And if your Instagram account is public, as it should be if it’s a business account, even people who don’t follow you can view your Stories. Instagram is a highly curated platform but since Instagram Stories last for only 24 hours* you can have a little fun and share things that don’t really fit with the “look” of your feed. It gives you another way to create a connection between your customers and your company. 1| Once Stories expire after 24 hours, they’ll be automatically saved in your archive for private viewing. 2| You can also add your favorite Stories to “highlights,” a new feature that will put your Stories on your profile. This feature will help make your campaigns live longer on the platform and re-engage your audience with your best performing Stories. Your pictures and/or videos do not have to be super perfect since they are not going to be seen in your feed. 1| Share exclusive behind the scene photos or videos. 2| Give a sneak peek of a new product. 3| Report from live event that you are promoting or attending and give your followers an insider’s view of what’s going on – a virtual backstage pass. 4| Offer flash sales to your Instagram audience. Post your offer as an Instagram story and announce that it expires at the end of the 24-hour story period. Direct users to the link in your Instagram bio, which will take them to a landing page where they can learn how to redeem your special offer. Or ask your audience to DM you. All depends on your goal. 5| Post How-to and tutorials. Show your followers how to use your products. 6| Get your followers involved by asking for advice or feedback on a new product or service. You can do it through your Instagram DMs. 7| Introduce yourself. Use #FridayIntroduction in your post and direct your followers to check out your Story to find out more about you. Those features are great for businesses with physical locations such as restaurants and other brick and mortar businesses. When your story segment is picked up and featured by Instagram for a particular location, you’ll get a boost in views on your story. By adding hashtags to your Instagram stories, those stories may also appear in hashtag search results. Use no more than two hashtags, one is better. Hashtags must be relevant to your industry, location and/or target audience. Post about your business and surrounding locations. Encourage customers to add location stickers in their stories so that other Instagram users can view your business on the search page and learn more about you and become new customers. Search on your location and find the people sharing stories around that location and join the conversation. 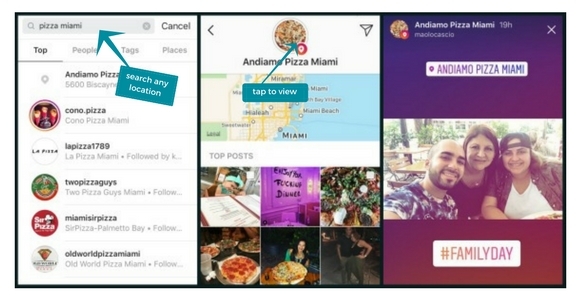 Instagram’s search algorithm will populate content that corresponds to a location-based business if that business has its address set up through Facebook or Instagram. Keep in mind that with an ever changing algorithm you are not in control on social media. Take advantage of all the tools offered but always focus on directing your followers to your website in order to build your mailing list which will always be yours. Do you need help with your social media marketing? Contact us today to schedule a consultation.